Loading Dock Supply, LLC is a distributor of Bluff Manufactured Products. 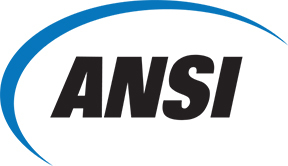 The American National Standards Institute (ANSI) has recently approved the MH30.2 standard. Bluff Manufacturing has complied with this standard in the manufacture and testing of all its aluminum and steel dock plates and boards. Bluff's first goal as a business is to manufacture high quality products for the material handling industry, and as always safety is a major concern.